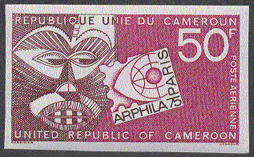 49520 ND CAMEROUN (1974) Mask*. Arphila*. Imperforate. Scott No C222, Yvert No PA237. 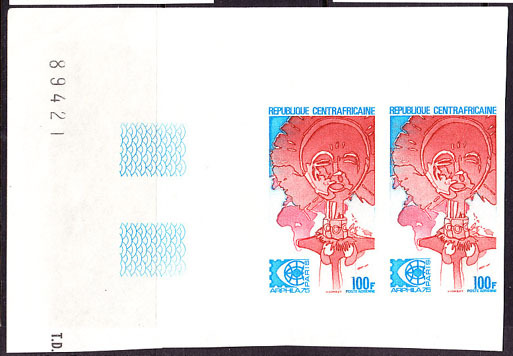 71011 ND CENTRAL AFRICA (1975) Mask*. ARPHILA emblem*. Imperforate pair. Scott No C129, Yvert No PA134.